Today’s Autumn Statement introduced very few new measures to the tax code. Here is a review of the headline announcements - and a reminder of the measures coming in from April 2017 and April 2018 are also highlighted below. The annual personal allowance is to increase to £11,500 from April 2017. From April 2017 salary sacrifice schemes will no longer be available. Existing arrangements will be protected until April 2018 with some particular schemes being protected until April 2021. These changes do not affect salary sacrifice schemes in place for Pensions, Childcare, Cycle to Work and ultra-low emission cars. The National Insurance thresholds for Employers and Employees will be aligned from April 2017 so that Class 1 NICs become due on earnings in excess of £157pw. Employee Shareholder Status (“ESS”) arrangements entered into after 1 December 2016 will not receive the favourable tax advantages previously available. The corporation tax rate is set to fall to 19% from April 2017 onwards. In addition, new measures will come into effect from April 2017 onwards applicable to large corporations (i.e. those with profits in excess of £5M per year), restricting the deductibility of losses from earlier years and also the deductibility of interest costs that are allowable. A new 16.5% rate will be introduced to the VAT flat rate scheme from 1 April 2017 for those businesses with limited costs. As previously announced, from April 2017 long term UK residents who are not domiciled in the UK will assume a deemed UK domicile for Inheritance Tax purposes if they are resident in the UK for 15 of the last 20 years. Inheritance Tax will also be charged on non-UK domiciled individuals who hold UK residential property indirectly through an offshore structure, such as a company or Trust. It is proposed that from April 2018, Employers National Insurance contributions will be payable on termination payments where the amount exceeds £30,000. From 2018, Class 2 NIC for self-employed will be abolished. There will be a consultation regarding voluntary Class 3 contributions and Class 4 NIC, which are paid by the self-employed, to consider how to build entitlement to the State Pension and other contributory benefits which used to be covered by the payment of Class 2 contributions. If you would like to explore what the Autumn Statement could mean for you and your business, please call 020 7731 6163 to talk to one of our tax team. 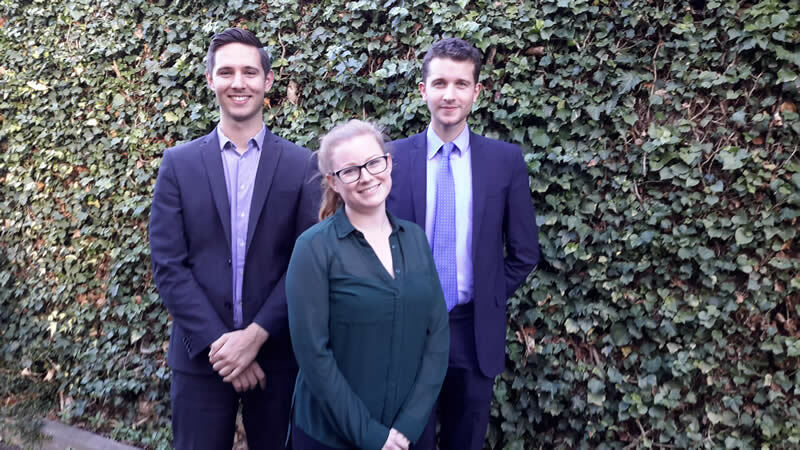 Fulham based accountancy firm Warrener Stewart’s tax team now has three more qualified tax technicians following the success of their graduate tax trainees; Felicity Butler, Freddie Hollom and Ryan O’Connor in passing their Association of Taxation Technicians (ATT) exams. Following the latest round of ATT exams taken in May, Felicity Butler, passed both her final two papers with distinction. Out of the 1,878 candidates sitting the exams only 3% achieved a distinction for exceptional performance. Felicity has now passed all the qualifications needed to become a member of the ATT. Having completed their final tax assessments in September 2016 and fulfilling the time criteria, fellow colleagues and tax technicians, Freddie Hollom and Ryan O’Connor, have also qualified as members of the ATT. Warrener Stewart has welcomed four new recruits to their Fulham accountancy practice. Charlotte Northmore and James Shepherd join auditing and accounting, whilst Ellie Scanlan and Catherine Findlay are the latest additions to the tax team. For the three girls, this is their first job since graduating, having joined Warrener Stewart’s graduate trainee programme This provides them with an opportunity to gain valuable on-the–job training whilst undertaking their professional studies. 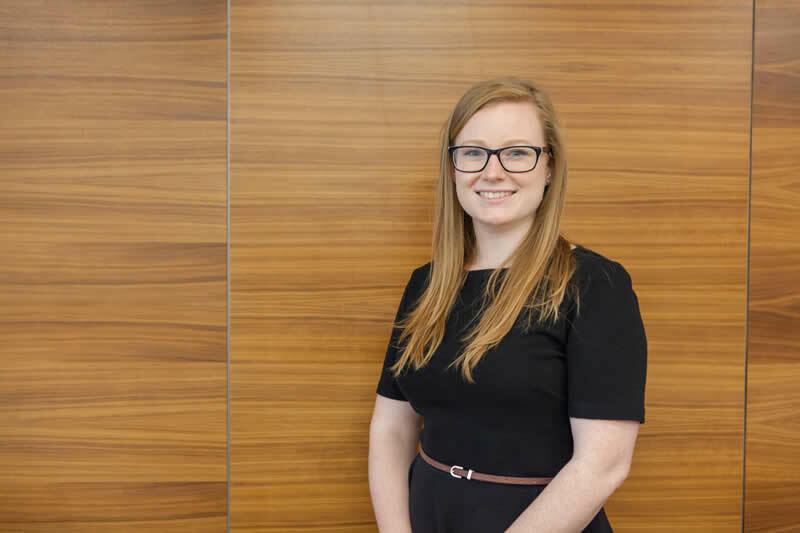 Charlotte, who studied Accounting whilst at Kingston University, was keen to join a medium size accountancy practice to gain wider experience before qualifying as a Chartered Accountant. Both the two new tax recruits, Ellie and Catherine, studied humanities based degrees; Ellie took a degree in History and Politics at Queen Mary, whilst Catherine studied International Relations and Politics at Richmond International University. As for James, he joins Warrener Stewart as a qualified accountant following a four-year ACCA training programme with PwC whilst based in Guernsey. James takes up the position of assistant manager, working alongside the Principals to help small and medium sized enterprises develop and grow their businesses. Commenting on the new recruits, Colin Edney, joint managing director said, “We are delighted to welcome four new arrivals to the team, all of whom appreciate that at Warrener Stewart we have a more in depth way of working alongside our clients. On the accountancy side Charlotte and James will provide a vital support role undertaking many of the technical aspects of auditing. As a Certified Acceptance Agent, as recognised by the IRS, we are starting to receive numerous requests for W-7 renewals from existing US tax filers. This change has got many people worried about their ITIN status and is even identified as a ‘hot topic’ on the IRS website. Due to the Protecting Americans from Tax Hikes Act (PATH) passed in 2015, any ITIN not used at least once in the last three years will effectively expire. In other words, if you have not been filing 1040 NRs in the past 3 years your ITIN may become invalid starting January 2017. Additionally, the IRS will be issuing renewals for all ITINs issued before 2013 starting with ITINs middle digits of ‘78’ and ‘79’. If you believe that you may be facing a renewal please don’t hesitate to contact Warrener Stewart and we would be happy to assist you as Certified Acceptance Agents in completing a W-7 form, certification of overseas identification or any additional US tax related issues. We estimate our cost for completing the process (excluding 1040NR completion) is £150 + VAT. We are happy to complete the renewal process for both existing and new clients, so if you believe that you may be effected by the renewal please don’t hesitate to contact us. At Warrener Stewart, we work closely with clients in relation to their property portfolios and the tax consequences. Recently our tax director, Damian Talbot, invited several clients to listen to an overview regarding current tax issues facing property developers and investors. The event was held near our Fulham offices at Chelsea Football Club’s home Stamford Bridge on 22nd September. Clients and staff at Warrener Stewart were afforded a unique insight not only into property tax planning, but a behind the scenes look at the Premier League club’s stadium. Indeed, Séamus Kavanagh‎, CEO Badger Holdings Ltd, one of Warrener Stewart's clients, agreed commenting, "What a great event and venue. The points discussed were so relevant for today's property investors and were delivered in a meaningful but easy way to understand. Property tax can be a minefield and the points covered will be invaluable in helping us to guide and assist our own staff and clients in the future." For further advice about property tax planning - whether you are a developer, investor or are just getting started, please contact Warrener Stewart on 020 7731 6163. Knowing the team at Warrener Stewart are always up for a challenge, Nick Morgan, joint managing director of the Fulham based chartered accountants, encouraged several colleagues to join the National Cycle to Work Day which took place on September, 14th. Between them the intrepid cyclists; Jon Last, Marcus Bullen, Felicity Butler, Ashleigh Molton, Charles Dessain and Nick, clocked up an impressive 150 miles cycling to and from work. For some of the younger members of the accountants in Fulham, their cycle journeys were relatively routine travelling in from Brixton and Balham compared to Jon and Nick’s epic journeys from darkest Surrey. Nick rode 39 miles from South of Guildford over the North Downs, meeting up with colleague Jon in Esher to inject some much lacking pace and lead the final 16 miles to Fulham. Whilst Nick certainly had the longest journey, the prize for ingenuity and the shortest journey went to Charles Dessain. He ditched his normal bus ride and grabbed one of the Santander “Boris” bikes which were free for the day, to cycle from Hammersmith to Fulham. This still earned him the complimentary bacon roll which was part of Nick’s original offer!